The driverless car revolution is imminent. Technology that was once considered science fiction is now coming down the fast lane, carrying with it the ability to completely transform the world of transportation. The present article will discuss the potential benefits and challenges of self-driving vehicles and give an overview of recent developments in the ongoing driverless car race. It will also discuss how innovative companies can take advantage of R&D tax credits as they open the way to a new era of mobility. Safety: Though often received with skepticism, research consistently shows that driverless cars are safer than those driven by humans. Data from the Department of Transportation (DOT) corroborate this idea, pointing out that 94 percent of car crashes are due to human choice or error. Considered the “next revolution in roadway safety”, autonomous vehicles are quite literally a lifesaving technology. In 2015 alone, over 38 thousand people were killed on U.S. roads and 4.4 million sustained traffic-related injuries. Traffic: Driverless cars could significantly improve traffic flow and reduce fuel consumption. Enhanced roadway safety means fewer accidents and less traffic congestion. Additionally, the emergence of affordable self-driving taxis promise to discourage car ownership, alleviating the overall traffic. According to KPMG, autonomous vehicles could increase highway capacity by up to 500 percent. Fuel Efficiency: Autonomous vehicles incorporate fuel-saving technology that optimizes efficiency in acceleration, braking, and speed variation. Better traffic conditions combined with enhanced fuel efficiency could help reduce CO2 emissions produced by cars by as much as 300 million tons per year, according to McKinsey. Wellbeing and Mobility: Taking the hands off the wheel can dramatically improve wellbeing. Long commutes, which are often frustrating and exhausting, can become restful and productive. Also, better traffic flow could considerably reduce the time needed to get to a destination. McKinsey estimates that commuters around the globe could save up to one billion hours every day. Self-driving cars could also improve the mobility of certain populations, such as the elderly, the unlicensed, and those with disabilities. Transportation Costs: Studies anticipate a considerable reduction in car ownership, which will be increasingly replaced by new mobility models, such as “e-hailing” taxi alternatives. According to the Casualty Actuarial Society, the cost per mile of a shared, driverless fleet car could be 80 percent smaller than the one of a personally owned vehicle when driven 10,000 miles per year. Economic Gains: A 2015 study by Morgan Stanley estimated that autonomous cars could contribute $1.3 trillion in annual savings to the U.S. economy alone, with global savings estimated at over $5.6 trillion. These gains represent a combination of increased productivity due to shorter commutes, enhanced fuel efficiency, along with savings from accident avoidance. Urban Landscape: By discouraging car ownership, driverless cars will also reduce the need for parking space. This can have a major impact in what cities look like, as parking spots currently account for 31 percent of urban land. Business Insider (BI) Intelligence defines self-driving vehicles as those containing features that allow them to “accelerate, brake, and steer a car's course with limited or no driver interaction.” This definition considers different levels of autonomy, from driving assistants all the way to fully autonomous vehicles, which need no input from human drivers. The automated system can perform all driving tasks, under all conditions that a human driver could perform them. Source: DOT, Federal Automated Vehicles Policy – Accelerating the Next Revolution in Roadway Safety. Sept. 2016. The DOT further distinguishes between levels 0-2 and 3-5. In the higher levels, the automated system - not the human operator - is primarily responsible for monitoring the driving environment. Therefore, cars that are classified as levels 3-5 are denominated “highly automated vehicles” (HAV). Taking into consideration different levels of autonomy, Business Insider forecasts that the self-driving market will experience a compound annual growth rate of 134 percent between 2015 and 2020, when there will be nearly 10 million cars containing self-driving features on the road. Boston Consulting Group estimates that autonomous cars might create a $42 billion market by 2025. LiDAR: Light detection and ranging (LiDAR) is a surveying technology that measures distance by illuminating a target with a laser light. It is used to create high-resolution 3D maps of the vehicle’s surroundings. LiDAR modules shoot out laser beams to determine the distance from and the profile of nearby elements. LiDAR units are usually placed on top of autonomous vehicles, where they can rotate and construct an unobstructed view. Radar: Various radar units are incorporated into autonomous vehicles in order to monitor the speed of surrounding objects in real time. Working together with other features of the car, such as inertial sensors, radars help avoid impact by communicating when to swerve, apply the brakes, or prepare seatbelts for impact. Some cars are also equipped with sonar technologies, as complementary sources of data. Cameras: High-powered cameras contribute to mapping and localization. Smart cameras can estimate distances to surrounding objects, read traffic signs, and detect pedestrians. Positioning Systems: The ability to accurately locate itself is crucial to the safety and functionality of an autonomous car. For this reason, HD maps with centimeter precision and real-time capabilities incorporate a localization layer that combines data from high-precision GPS receivers and different sensor units. Sophisticated Software: Vehicle autonomy is based on its ability to process data and adjust to traffic conditions. Complex algorithms are used to analyze incoming data in real time as well as to model the behavior of surrounding agents, such as other drivers, pedestrians, etc. In addition, machine-learning capabilities allow self-driving systems to optimize their responses based on previous experiences and on “observ ing” and learning from other cars. In September 2016, the DOT unveiled the Federal Automated Vehicles Policy, laying a path for the safe testing and deployment of driverless cars. The document includes a 15-point checklist that outlines safety expectations for the emerging technology. It is considered to be an important step in balancing the necessary safety oversight and the commercial interests at hand. Overall, the guidelines, which were entitled “Accelerating the Next Revolution in Roadway Safety”, were seen as an indication that federal regulators endorse the potential benefits of driverless cars and that innovative companies should anticipate a scenario of collaboration rather than overregulation. As demonstrated below, the 15 assessment areas listed by the DOT are some of the most important areas for innovation in driverless car technology. Companies engaged in finding new and improved ways to overcome existing challenges in each one of these areas should take advantage of R&D tax credits to increase their chances of success. The document encourages carmakers not only to collect and store data for testing and operational purposes but also to develop strategies for sharing information that could “help to accelerate knowledge and understanding of HAV performance, and could be used to enhance the safety of HAV systems and to establish consumer confidence in HAV technologies.” In cases of crash reconstruction, data concerning the event and the performance of the vehicle should be readily available for retrieval by regulators. In an effort to protect consumers’ right to privacy, the DOT points out that car owners should not only be made aware of the data being collected, but also be given the opportunity to decline authorization for the collection of personal information, such as geolocation, biometric, and behavioral data. The document also underlines the importance of using data only in “ways that are consistent with the purposes for which it was originally collected.” Accountability, integrity and access, data security, and de-identification are also points of concern. The ability to safely respond to system malfunctions should be a priority in vehicle design. Safety considerations should include potential electrical, electronic, or mechanical malfunctions as well as software errors. Design decisions should be tested, validated, and verified to demonstrate the vehicle’s overall safety in problematic situations. We are currently witnessing an unprecedented multiplication of cyber crimes. The DOT urges carmakers to reduce cyber security vulnerabilities by using identification, protection, detection, response, and recovery functions. Risk management decisions, quick response to threats, as well as the ability to learn from cyber security events should be a priority in vehicle system design. The Agency further encourages companies to share information on cyber security with their counterparts, as a means to accelerate industry-wide advances. Emerging technology brings new complexities to the interactions between vehicles and humans. The DOT underlines that automakers should consider how vehicles will communicate status and intentions not only to the occupant but also to the environment around it, including pedestrians, cyclists, and other cars. This is particularly important in semiautonomous systems that switch between autopilot and human control. Human machine interactions should also accommodate people with disabilities. Driverless cars must meet NHTSA’s crashworthiness standards. Manufacturers are also encouraged to develop new occupant protection systems “that use information from the advanced sensing technologies needed for HAV operation to provide enhanced protection to occupants of all ages and sizes.” In the case of non-occupied automated cars, automakers should make sure they provide geometric and energy absorption crash compatibility with existing vehicles. The DOT encourages carmakers to deploy wide-ranging education and training programs targeted at employees, dealers, distributors, and consumers. The objective of such initiatives is to make sure that technologies are used properly, efficiently, and in the safest manner possible. Besides traditional on-road and on-track experiences, the Agency encourages the use of innovative approaches to education, including virtual reality. In addition to requiring that software updates and new driverless features be submitted to the NHTSA, the document underlines the importance of providing up to date, on-vehicle information of key HAV capabilities to human drivers, owners, and occupants. After a crash, manufacturers must demonstrate their vehicle’s ability to be safely reinstated into service. Damages to critical control systems should prevent further operations in autonomous mode. Driverless cars must comply with all applicable federal, state, and local laws. However, they must also be able to identify “plausible cases” in which violations of the law are necessary to avoid accidents (such as crossing double lines to avoid a broken-down vehicle). Carmakers are encouraged to record data that prove that actions taken by the vehicle’s system were safety-promoting. They should also envision the possibility of changing legal landscapes, which must be incorporated into software updates. Baring in mind that driving decisions can have ethical dimensions or implications, the DOT encourages manufacturers to work together with regulators, drivers, and passengers to develop problem-solving algorithms that make sure that ethical judgments are made “consciously and intentionally.” This is particularly pressing in instances where there is a conflict between safety, mobility, and legality - the three major principles of vehicle operation. Carmakers should disclose the Operation Design Domain (ODD) for each system capability, including information such as 1) roadway types on which the HAV system is intended to operate safely; 2) geographic area; 3) speed range; 4) environmental conditions in which the HAV will operate; and 5) other domain constraints. Automakers are also encouraged to have documented processes and procedures for the assessment, testing, and validation of the system’s capabilities. Autonomous vehicles must be able to detect and respond to any circumstance that is relevant to the immediate driving task. Manufacturers should demonstrate that their vehicles are capable of safely interacting with other cars, pedestrians, animals, and cyclists as well as dealing with unexpected conditions, such as temporary work zones, manually directed traffic, etc. When faced with technological malfunctions, HAVs should be able to safely transition to a minimal risk condition. Systems that allow for human driving should consider the potential driver’s condition before switching to human control, taking into account the possible influence of alcohol, drowsiness, etc. The DOT acknowledges the wide variety of technologies used in driverless cars and urges manufacturers to develop the necessary tests and validation methods to ensure high levels of safety. Simulation, test track, and on-road tracking should integrate a multidimensional approach to testing HAV systems. Despite major technological breakthroughs, self-driving under real-world conditions still poses significant challenges. A growing number of automakers and technology companies are working to overcome these hurdles, in an exciting race for the commercialization of autonomous vehicles. The following sections explore the work of these groundbreaking companies, which exemplify the kind of innovative efforts that could benefit from R&D tax credits. In October 2016, Tesla announced that all its new cars would have hardware for “full self-driving ca pabilities.” The full autonomy update includes 8 cameras with 360-degree viewing at up to 820 feet of distance, 12 ultrasonic sensors that can detect both hard and soft objects, as well as a forward-facing radar unit to increase visibility through rain, fog, and dust. According to CEO Elon Musk, the new hardware is 40 times more powerful than the previous Tesla computer. The automaker is equipping its vehicles with Nvidia’s Drive PX 2, a supercomputer that translates sensor data into driving commands and uses deep learning to teach the car to handle itself. For now, Tesla has purposely avoided using LiDAR sensor technology. While some experts corroborate this choice, pointing to the costs and vulnerabilities of LiDAR, others believe these sensors are essential to guaranteeing 100 percent safety. 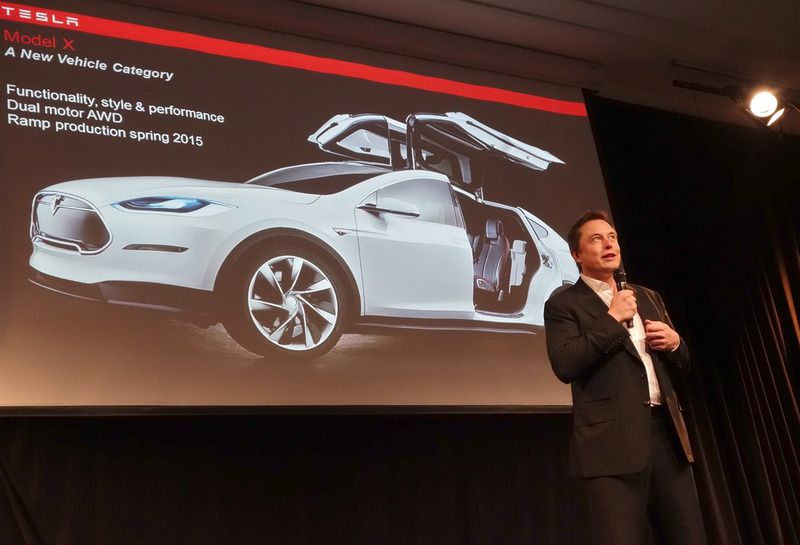 Potential future improvements to Tesla’s system include CMOS image sensors from longstanding Tesla partner Panasonic. 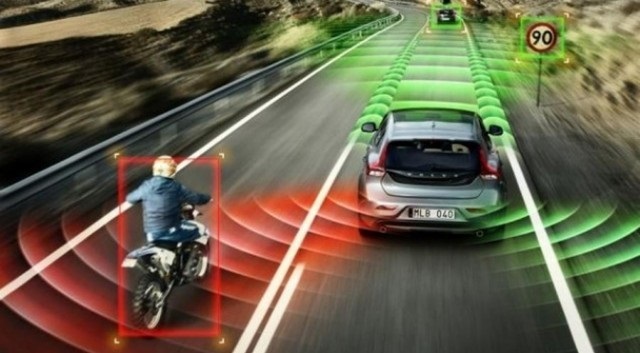 The Japanese company has expressed interest in a collaboration for the development of very high-speed sensing technology. Though allegedly equipped for complete automation, full self-driving capabilities are not available in Tesla’s cars just yet. As stated by the automaker’s website “self-driving functionality is dependent upon extensive software validation and regulatory approval, which may vary widely by jurisdiction.” However, recent software updates have been seen as important steps towards the long-term goal of producing fully autonomous, self-driving cars as well as the more near-term objective of fully activating the Enhanced Autopilot, which is expected to include functions such as speed matching with surrounding traffic, lane keeping, automatic lane switching, freeway merging and exit, along with self-parking and summoning on startup. In December 2016, Tesla reassured its customers that progress is being made in the refinement of a new vision neural net system, which is the basis of various autonomous features, including object identification and avoidance. Musk has pledged to release the Enhanced Autopilot and perform a cross-country test of a fully-automated, driverless vehicle before the end of the year. Even though this ambitious plan often inspires skepticism, having access to massive amounts of data collected by Tesla cars around the globe (over 222 million miles in Autopilot mode) may be a game-changing advantage. In September 2016, ride-hailing service Uber crossed a major milestone by introducing autonomous cars in Pittsburgh, Pennsylvania. 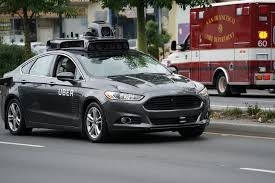 The self-driving vehicles, which are available to select users in limited areas of the city, rely on cutting-edge technology, including 20 cameras that watch for slowing vehicles, pedestrians, and other obstacles; LiDAR modules that shoot 1.4 million laser points per second to create a 3D map of the surroundings and detect obstacles in blind spots; as well as a cooling system to prevent overheating. A safety driver and an engineer occupy each car to take control in the event of failures. Uber has given several indications of its determination to build a fleet of self-driving vehicles. However, contrary to most players in the driverless-car race, the startup has decided to outfit cars with autonomous driving kits rather than developing new vehicles from scratch. Uber recently established a $300 million partnership with Swedish-based carmaker, Volvo, to develop a fully autonomous car ready for the road by 2021, as reported by Bloomberg. To this end, the company has also hired various robotics experts from Carnegie Mellon University. In December 2016, Uber launched its second pilot program in San Francisco but shut it down due to licensing problems with California’s DMV. The cars were sent to Arizona, where the company plans to resume the program. Additionally, Uber is involved in the development of self-driving freight trucks. In August 2016, it acquired San Francisco-based Otto for an estimated $680 million. Just two months after that, a self-driving Otto truck made a 120-mile run to deliver beer. In August 2016, Ford announced its intention of having high-volume, fully autonomous vehicles in commercial operation by 2021. The automaker aims to design SAE level 4 vehicles for use in urban car-sharing and ride-hailing fleets, which will operate without a steering wheel or pedals. To achieve this ambitious objective, Ford has invested in startups, increased its Silicon Valley team, and more than doubled its Palo Alto campus. The company has also pledged to triple its autonomous vehicle test fleet in 2017, bringing the total number to 90 cars. The testing vehicles will help develop a “more targeted field of vision” and improve on Ford’s virtual driver system, which includes cameras, radar and LiDAR sensors; algorithms for path planning; computer vision and machine learning; 3D maps; and advanced electronic systems. Recent tests have included the operation of autonomous vehicles in the snow and at night, in complete darkness. Key investments and collaborations include Velodyne, Silicon Valley-based developer and manufacturer of LiDAR technology; SAIPS, Israel-based computer vision and machine learning company; Nirenberg Neuroscience, a machine vision company that has created a powerful machine vision platform for performing navigation, object recognition, facial recognition and other functions; and Civil Maps, Berkeley, California-based developer of high-resolution 3D mapping capabilities. Ford has recently unveiled a new model of its self-driving car Fusion, which featured a more “traditional” automobile look, made possible by the scaling down of hardware, particularly the bundle of sensors previously located on the roof of the vehicle. The new generation of autonomous Ford cars has a sensing range that extends the equivalent of two football fields in every direction. Ford has recently registered a patent for a self-driving car equipped with a drone. The idea is to use the drone to map the surrounding areas beyond the reach of the vehicle’s sensors. German multinational auto supplier Bosch has worked on the development of new components to support full autonomy. With a global team of nearly 2,500 engineers dedicated to advancing driver assistance systems and automated driving technology, Bosch’s clients include Google, Tesla, and Porsche. The company focuses primarily on sensor technology – particularly radar, video, and ultrasonic sensors, vehicle architecture, as well as actuators and their integration into the vehicle. Bosch has recently developed fully autonomous prototypes by incorporating its technology into Tesla Model S sedans – the company underlined, however, that its system-based approach could be used in any vehicle. The prototype has level 4 autonomy, made possible by six radars, six LiDAR modules, one stereo video camera, and one high precision GPS. The company has also expressed interest in combining autonomy and connectivity, linking vehicles to the Bosch IoT cloud and allowing for major increases in productivity both in household functions and logistics operations. 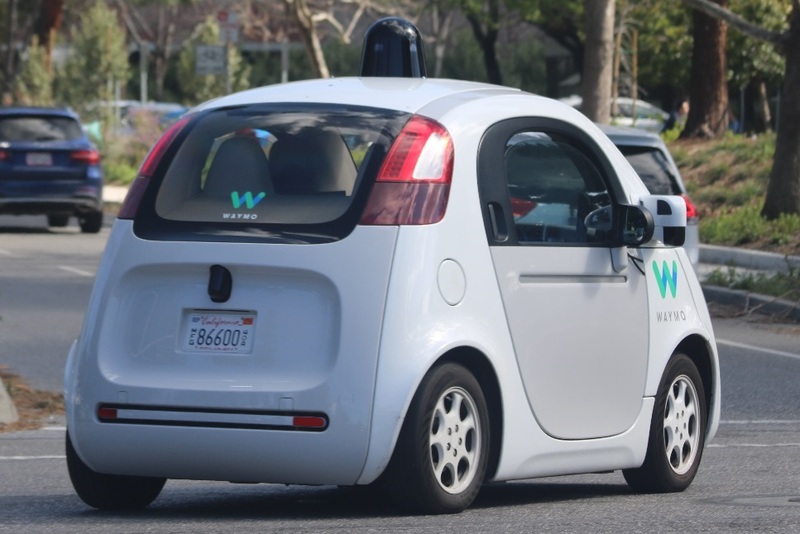 In December 2016, Google transformed its driverless car unit into a new, independent company that will operate under parent company Alphabet - a move that could indicate the growing commercial viability of driverless technology. The newly created Waymo has signaled that it intends to incorporate autonomous-driving technology into typical cars, instead of developing new vehicles. Focusing on the scalability and optimization of self-driving technology, the company is engineering and manufacturing all of its hardware in-house. Waymo CEO John Krafcik recently announced that the company has brought down the cost of LiDAR sensors by 90 percent – a change that could significantly reduce the overall price of autonomous cars, which often have LiDAR as their most expensive component. In addition to cutting costs, Waymo claims to have used more than 2 million test miles to create sensors that are more resistant to vibration and extreme temperatures. The company is expected to soon begin testing a fleet of Fiat Chrysler Pacifica minivans equipped with its self-driving technology, which includes a suite of LiDAR sensors that operate at short, medium, and long ranges as well as eight enhanced camera modules specially designed for challenging lighting conditions. Waymo intends to market driverless technology for various applications, including personal transportation, public transit systems, ride hailing, and trucking. In October 2015, a Mercedes-Benz big-rig became the first heavy-duty truck to drive semi-autonomously on an open highway. Equipped with Daimler AG’s Highway Pilot, which consists of a system of radars, sensors, and cameras, the truck featured various safety functionalities, including brake assist, active cruise control, and drowsiness detection. Mercedes-Benz’s goal is to transform regular trucks into self-driving, intelligent ones by incorporating its innovative system, which should be available for commercial applications by 2020. Mercedes recently announced the upcoming release of its new Drive Pilot, a semi-autonomous system that controls steering and speed while remaining under the driver’s supervision. The new technology will represent a major improvement over the company’s existing Drive Pilot: while the current version can handle only 20 percent of driving tasks, the new system will be able to take charge of up to 80 percent of such tasks. In addition to greater capabilities, Mercedes has enhanced human-machine interaction through an innovative feature that allows drivers to decide and communicate how much input they want to give. The new Drive Pilot adapts to how much steering force is used: while a light touch signals that the system should do most of the work, a firmer hand gives the control back to the driver. Mercedes underlines, however, that Drive Pilot consists of an assist system, not a fully autonomous one. For this reason, the company incorporated features designed to avoid overreliance – for instance, it requires a driver’s response every few seconds, depending on the road conditions and speed. Failing to acknowledge these requests activates a “controlled-but-determined emergency stop.” Mercedes recently announced a partnership with American technology company Nvidia. Having worked together on deep learning and artificial intelligence for the last three years, the two companies intend to roll out a self-driving, artificially intelligent car by 2018. Working in partnership with Intel and Israeli computer vision company Mobileye, BMW intends to have 40 self-driving test vehicles on the roads by the second semester of 2017. As part of the Project iNext, the German carmaker aims to release an all-electric car with autonomous functions by 2021 and a fully autonomous vehicle by 2025. BMW recently unveiled the BMWi Inside Future, an innovative concept for the interior of its autonomous cars, which is built around the idea of connectivity and includes a new user-interface named HoloActive Touch system – a “free-floating” display that works via gestures, not touch. Other features are a folding steering wheel that retreats when in autonomous mode, reclining seats, and a screen for entertainment in the backseat. The futuristic design points to a hallmark of driverless innovation – in the words of Klaus Frohlich, a member of BMW's board of management, "it’s not about just being driven but about the experience." The list of companies currently racing to build self-driving cars also includes Japanese automakers, such as Toyota, which has invested $1 billion in a research institute focused on artificial intelligence and robotics technology; Nissan, which is gradually incorporating autonomous capabilities into its cars through the innovative ProPILOT system; and Honda, which recently unveiled a prototype for a self-balancing, autonomous motorcycle. Audi also has plans to roll out level 4 autonomous cars by 2020. The German auto giant has been testing its “piloted driving” technology, which doesn’t rely on pre-established instructions, but rather observes and learns from other cars (with human drivers), adapting to different contexts and is thus riding more “naturally.” Hyundai and French multinational PSA Group are also engaged in driverless technology research. Apple has repeatedly expressed its interest in using machine learning and automation in transportation. There is, however, little information as to the nature of the company’s efforts - building a physical product or developing an autonomous system to be used by other cars. In December 2016, Governor Rick Snyder signed a bill that allows autonomous cars on Michigan’s public roads, no back driver required. The legislation has been referred to as the “most permissive self-driving car laws in the country” as it allows testing of vehicles without steering wheels or pedals (which are prohibited in other states, such as California). The idea is to put Michigan at the forefront of driverless vehicle development, reaffirming its position as the epicenter of automotive innovation. According to the director of Michigan’s Department of Transportation Kirk Steudle, over 75 percent of companies engaged in autonomous vehicles R&D already have locations in Southeast Michigan, and the state wants to “encourage them to stay put.” The progressive legislation further wants to welcome new businesses – in Steudle’s words, “we welcome any company to come on in and operate on the roads. Show us what you got.” Tech companies and automakers have welcomed the new legislation, which is already attracting new businesses. Uber has recently announced that it will open an autonomous-vehicle research center in Wixom, Michigan, and General Motors expressed its intention to develop and build autonomous Chevrolet Bolt EVs at the Orion Township assembly plant. Other initiatives to advance driverless innovation include University of Michigan’s Mcity, a 32-acre simulated city for autonomous car testing. Located in the Ann Arbor campus, Mcity replicates the urban environment, with traffic jams, pedestrians, angled intersections, obstructed views, and even a four-lane highway. The testing center has attracted various startups that take advantage of the initiative’s TechLab, a learning incubator where U-M students contribute to early-stage technology development. Examples of West Coast companies that have recently joined MCity include driving analytics startup Zendrive, which uses smartphone sensors to measure drivers’ behavior; PolySinc, developer of an operating system for fully autonomous vehicles; and Civil Maps, creator of a 3-D mapping technology that transforms sensor data into map information specially targeted at driverless cars. The state will soon have another major testing site, the proposed American Center for Mobility. Located in a World War II bomber factory and former GM plant in the Ypsilanti Township, the $80 million, 335-acre project will feature a 2.5-mile highway loop, which should be concluded by December 2017, as part of the first phase of constructions. Michigan is home to various innovative companies that are working on driverless technology. Detroit-based automotive supplier Roush has developed proprietary noise and vibration technology as well as analytical models that predict product performance and determine cost-effective solutions in varying environmental conditions. In 2015, Roush was reported as one of Google’s partners in its self-driving car efforts. The state is also home to FEV North America, a leader in the development and testing of electronics systems and subsystems for Advanced Driver Assisted Systems (ADAS). FEV has developed cyber security solutions capable of protecting self-driving cars from hackers. Its Cyber Security Gateway works as a firewall between interface threat entry points (such as WiFi, Bluetooth, etc.) and the vehicle. It can be used as a standalone or integrated solution connected to the car’s communication bus. Michigan is also home to Techstars Mobility, the first startup accelerator program in North America to focus on the future of mobility, automotive, and transportation. Working from downtown Detroit, the accelerator has invested in over 22 mobility companies since 2014. Techstars’ 2016 class of startups included New York City-based Braiq, which uses biosensors to bridge the gap between human preferences and artificial intelligence as a means to personalize the driving style of autonomous vehicles. Braiq’s innovative and ambitious goal is to teach self-driving cars how to respond to human emotion by monitoring passengers’ biosignals, such as brain activity, eye movement, facial expressions, and heart rate. Autonomous vehicles promise to revolutionize transportation. Potential benefits include increased road safety, better traffic flow, higher fuel efficiency, shorter commutes, among many others. Various companies are engaged in innovative efforts to overcome the technological challenges to the safe and widespread deployment of driverless cars. R&D tax credits can help pave the way to the commercialization of this revolutionary technology.